As we draw closer to June 7th, it appears that the upcoming election anticipates some likely unexpected results. We´re actually seeing two kinds of elections, following their own electoral dynamic. At the State level, the local economic and political conditions, the popularity of the outgoing governor as well as the personality of the candidates campaigning for office weigh in the voters´ decision process. Hence the volatility of the possible results, to close to call by now at least in 7 out of the 9 States in dispute. The federal election to renew the House is a whole different story, in which the parties brand names weigh more than individual trajectories. And contrary to the general belief, public polls are consistently showing a distribution of seats in the lower Chamber similar to the present one, except for the fragmentation of the left caused by Morena´s irruption in the political scene. Some exercises even foresee more seats for the PRI and its allies in Congress, the PVEM and PANAL (they currently hold 251 out of 500 seats). Should this be the case, the PRI vote could be interpreted in two ways: firstly fueled by some signals of slow economic recovery (reported lower unemployment and better retail figures) and expectation around the benefits of the structural reforms (i.e. savings in electricity bills). Secondly, an inertial vote assuming a growing disenchantment with politicians and political parties, but also with the lack of promising alternatives. On top of those arguments, a divided opposition always proves helpful. The right wing PAN is in turmoil, with national leader Madero fighting former President Calderón over control of the party. The leftist parties on the other hand are paving the way for the PRI thanks in good part to López Obrador´s rupture with the PRD. Interestingly, the likely success of the PRI would reverse the fate of the last three midterm elections where the governing party (be it PRI or PAN) lost the majority in Congress. However, cautiousness is highly recommended. The PRI and its allies would be very mistaken to take an electoral triumph for granted. Specially when so many challenges lie ahead. They will have to manage expectations for starters. The implementation of the structural reforms is a lengthy, grueling process which will require a strong political will and an even stronger convening power, similar to the one behind the Pacto por México, to stay the course. Most importantly, it would be a huge mistake to minimize the popular rejection towards systemic corruption. The enactment of the Anticorruption bill last week was an undisputed achievement of the organized civil society that will have to be matched with a genuine commitment of the authorities to comply with and enforce the law. Nothing shorter than that will restore their tarnished credibility. It might prove worthy recalling that the last time the PRI won a midterm election was 1991 with then President Carlos Salinas. Needless to say, despite that electoral victory things didn´t work out well in the end. The achievement of stability and high growth rates after the revolutionary era was nearly miraculous and contrasted with the interminable South American dictatorships. Everything suggested that Mexico had procured a successful and permanent formula. It worked until it ran out. But what is significant –and what was of virtue- of that era was the fact that the diverse components of the clockwork that made it work in general were in sync. The economic autarchy coupled with the authoritarian political system and the structure of vertical controls that was a key component of the PRIist system to keep the state governors in line. The scheme responded to the reality of the moment in which it was constructed –the post-revolutionary epoch, and, above all, the post-War era- and permitted the country to progress. Of course, the fact that there was progress in some ambits did not imply that the system was free of contradictions. When these made themselves heard, the system responded: this was how it acted with (annulled) independent presidential candidacies when these presented and how it repressed guerilla movements and, towards the end of the era, the student movement. The preference was always cooption and that ever-so-PRIist tactic: subject the dissent to the general corruption of the system under the aegis that there is no greater loyalty than that springing from complicity. The problems began when the contradictions stopped being minor and the traditional response no longer solved the problems. For example, without recognizing that it was a structural problem emanating from the evaporation of monies to finance imports, President Echeverría responded to the (very mild) recession of 1971 with a sudden and massive increase in public expenditure, breaking with all of the fiscal equilibria known until then. Fiddling with it “just a little” ended up undermining the old stability, destroying the confidence of the population and positioning the country on the threshold of hyperinflation. The equilibria now broken, attempts at a solution eventually began, all of these conceived to preserve the essence of the PRIist system but in turn supplying the economy with oxygen: a flagrant contradiction, but logical within its context. Russell Ackoff, a U.S. thinker, wrote that “there are four ways of treating a problem― absolution, resolution, solution and dissolution ― and the greatest of these is dissolution”. Of all these, says Ackoff, only dissolution allows eliminating the problem because it entails the redesign of the context within which it arose. That is, what Mexico required (and requires) was an integral transformation similar to that which today’s successful nations experienced –each on its own terms- such as Korea, Chile and, before the euro, Spain and Ireland. What in fact was done was to attempt to respond to the problems by seeing to their most evident manifestations and trusting that those would disappear (“absolve” in Ackoff’s terminology). That is how it went through diverse political reforms as well as with partial and fragmentary economic liberalization. It was not that there was bad faith; rather, the ultimate objective resided in the preservation of the essence of the political system and its beneficiaries. Viewed from this perspective, the most emblematic of the electoral reforms (1996) was nothing other than going from a one-party system to a three-party structure, and not to full democracy. The expanded regime extended the benefits to new participants and created a scheme of competition that did not alter the essence of the old system, but only “democratized” it. What it did not solve were the contradictions. One by one, these have come to wage an attack on occasion in creative, but always limited, ways. In one epoch the support was procured of “men-institutions”, responsible persons who understood what hung in the balance and who took care that the equilibria were not shattered (and there were –and there are- many more of these figures than one might imagine); in another epoch “autonomous” and “citizen” entities were constructed under the notion that the members of their boards would not lend themselves to shady dealings and that they would guarantee the seriousness and reliability of their actions in electoral matters, on issues of economic regulation and, most recently, in matters of energy. I do not dispute the logic, convenience or potential of this type of response, but it is evident that they have not been sufficient for solving problems that can only be solved with a much more polished transformative vision. They work while they work and then they begin to be costly. In any case, they depend on the individual person. The elections are nearly upon us, the candidates and parties attack and counterattack each other but, save for exceptional cases, these do not offer attractive alternatives. In the case of the governorships, who end up being proprietors of the lives and souls of their entities, the difference between a good one and a poor one is absolute and that’s why the elections are so hair-raising. The majority only want to get rich or utilize each post as a stepping stone to reach the next one. As an old politician once told me, “some do their job but the majority devote themselves to constructing the next one”. That’s what Mexicans have got to work with. In Miguel Hidalgo, in the Federal District, a peculiar case is unfolding: a rough-spoken but effective candidate, as only she can be, and without any ambition for another job, contending for the opportunity to govern the local government (which de facto finances the entire Federal District) but that has been badly managed and misgoverned for decades. Xóchitl Gálvez gets my vote because she is a straight-arrow person who is devoted to what she does and who does what has to be done. * Global Fellow and Member of the Advisory Board of the Mexico Institute at the WWICS and President of the Center of Research for Development (CIDAC). It would seem to be patently obvious that in politics there’s no worse evil than fighting reality, but that’s precisely what the government has been doing recently. The government might like what the U.N. court reporter has concluded about torture in Mexico or not, but it can’t simply reject its investigation. Even if the analysis were mistaken, the worst strategy is that of categorical rejection: exactly the same management that it does with internal criticism, as if everyone were its enemy. Machiavelli wrote that “There are three types of intelligence: one understands things by itself; the other appreciates what others can understand, the third understands neither by itself nor through others. The first kind is excellent, the second good, and the third kind is useless”. In this matter, the government appears to conduct itself like the Machiavelli’s third definition. In the eighties the country chose to integrate itself economically into the world but, in its first iteration, it pretended that it could be part of the international business circuits, attract foreign investment and technology but maintain its primitive ways of politics as usual internally. The contradiction was flagrant and led to interminable disputes in the most diverse forums. On one of his visits to Washington State in the U.S., for example, President de la Madrid breakfasted with the news of columnist Jack Anderson denouncing diverse cases of corruption in the de la Madrid’s government. The column could not have been worse in content or come at a worse time for inflicting severe damage on the visit before it had even begun. The government rejected the information with all of its vehemence, but did not achieve neutralizing the critics. The same happened with the murder of U.S. Drug Agent Enrique Camarena and the annual evaluation of Mexico’s cooperation in matters of narcotrafficking. Each case sunk the government deeper and deeper. Beyond the indignation that type of accusation aroused in our politicians, above all due to the moral superiority that they involve, it’s no secret from anyone that the country is enduring an infinity of cases of corruption, torture, police abuse, the incompetence of the judiciary, and lack of respect for the rights of the citizens. Similarly evident is that there are no easy solutions to these ills, even if there were the best will and strategy. What’s absurd is to pretend that these ills do not exist, that they are foreign to our reality. By the time Carlos Salinas took over the presidency in 1988, the lesson had been learned. The great difference between the two administrations was not the general strategy but the recognition that it was impossible to maintain the fiction that the external world is distinct from the internal, that a dual discourse can be maintained or that the leak in the dike can be plugged with one finger. Instead of emphatically rejecting the accusations coming from the outside, Salinas opted for assuming them and at least pretended to solve them. That’s how, for example, the National Human Rights Commission came into being. Rather than confronting, he joined the critics, although in the final analysis the solution was nothing more than cosmetic. Viewed in retrospect, the true change was less one of essence –political modernization oriented toward creating a developed country did not take shape-, but the form was crucial because there was at least minimal congruence between the internal and the external discourse. Thirty years later it appears that we have returned to the eighties, only that, as Marx said, the second time as a farce. I don’t know whether torture is practiced in the country nor is it obvious to me that fourteen cases would be sufficient for a summary trial or something in that respect; that said, it would appear infinitely more sensible, in this example, to request aid from the U.N. for combating the cases that do exist and the circumstances that produced them, rather than deny that reality and do battle with the community of nations. Worse yet, no member nation of the International Court of Justice and similar bodies can react in that fashion. It’s not logical and, worse, it’s counterproductive. A government should add rather than subtract before anything else. The far-ranging issue is that we cannot return to the past nor can we deny the reality of the world in which we live, the latter entailing ubiquity of information and globalization not only of the economy but also of values and criteria. The longer the government takes to accept that that’s not the road to the future the worse the future will be for its own efforts and, above all, the economic and political performance of the country. These are not minutiae by any means. ^ Lawyer and political analyst. 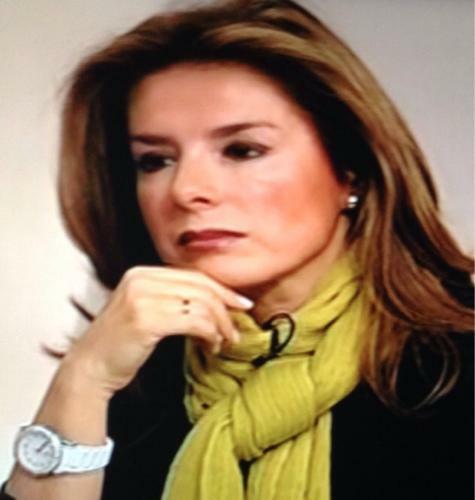 Journalist in the newspaper El Economista and TV presenter in Canal del Congreso and AprendeTV in Mexico. The complexity of Mexico’s political life, the violence, and the corruption, but above all the absence of a real debate on domestic problems, has generated a thousand and one diagnoses on the nature of our dilemmas. It would appear obvious that our essential problem is not corruption, violence or criminality, but the absence of a system of functional government: that is, the three levels of government and the three branches of government. This is not a matter of guilt, of the good ones or the bad ones, but rather of essence. The question is how Mexico is going to be governed. Governing is the sum of leadership and structure. It implies rules of the game and limits of power, imposing the rules of the game equally on all unceremoniously. Assuming the law as an obligation, not subject to negotiation or discretional application. No negotiation of reforms once they are approved. It implies recognizing that no reform will be successful if it does not advance in the terrain of legality. Therefore, to govern is to comply with the law and to make everyone else comply with it, without exception. This is not a typical PRIist characteristic but it is what the country requires. One thing is to govern, that is to make daily life possible without brush-offs, and another thing is to create the conditions for that life to be better. The former requires permanent institutions and structures that function regardless of each administration. That is how the issue of security and justice, economic regulation and public finance should be. The latter demands great leadership to improve the daily reality. President Peña was a wizard in the second process, achieving the modification of the regulatory framework in prodigious fashion. Now comes the work of governing, which implies altering the status quo, removing vested interests and rendering the normative framework reality. Some of this is immediate, part takes time, but all of it requires enormous presidential leadership. President Peña has been exceptional in the approval of the reforms; now what is lacking is for their implementation to be equally successful. From this perspective, there is no magic solution for our ills, but none of them can be solved without a functional government. In other words, all the reforms that one wishes for can be approved, but if these are not implemented, the country will go on the same as always. This is not a criticism of the present government or of any in particular. In former times a change could be imposed; now, without authoritarian structures, that is impossible. In this regard, the most important reform is lacking: that of the government, that of the power. Beyond the philosophies of government and preferences in matter of public policy, what is essential about a government is not, or should not be, what changes from one administration to another, but instead what remains, that is, the basic State institutions. Among these are the police, the judiciary, and the capacity of regulation. That is, the essence of what it is to govern. In Mexico we have confused the structural reforms required for the diverse components of the economy and the society to be viable, and the functioning of day-to-day things, including those reforms. This concerns two distinct affairs: one is changing what does not function, the other is creating conditions for everything to function. For example, one thing is there being an adequate structure for the population to be secure and another, very distinct one, is for the police to be reformed in order to reinforce or improve that security. There has been much discussion about the reforms but very little about how they are to be implemented. Changes do not happen on their own. While the Constitution embodies a robust legal framework that reflects the distinct aspirations of the changing forces and political coalitions over time, there has not been similar emphasis on the capacity of the State, that which permits governing. Today it is obvious that what was assumed to be a very institutional government in the old system was no more than an authoritarian system. The governing capacity was the product of control exercised through implicit threats, the PRI and co-option. Once those mechanisms began to falter, the system became –like the emperor and his new clothes in the fairytale- more authoritarian than institutional. David Konzevik sums up the dilemma in an exceptional manner. “The art of governing in a dictatorship is the art of managing fear: the art of governing in a democracy is the art of managing expectations”. That’s where Mexico is today. A successful government in this era requires, before anything else, being functional. John Stuart Mill said in his brilliant way: “Progress includes Order, but Order does not include Progress”. The system was good in terms of order but, in the last decades, bad for progress. If Mexico wants to progress it will have to carry out a reform of the system of government that, in its essence, is a reform of the power. Without that there will be neither order nor progress which, although sounding Porfirian (1876-1910), does not mean that it is no less true. Héctor Aguilar-Camín affirms that “the maturational time that they need (the reforms)… far outdistances the times and tribulations of the current government”. Obviously he is right: but this also can be a singular excuse to justify not making difficult decisions of implementation that entail altering the status quo. Time can be an excuse for simply kicking the can. In the past it appeared impossible to change the law; today reforms seem easy. But they will only be reality when they are implemented, that is, when there is governing. Everything else is fiction. How are the high-speed train to Querétaro and the brand new National Electoral Institute (INE) alike? Unfortunately, the similarity is less altruistic than is desirable. Some months ago, the Secretary of Communications went to Congress to defend the high-speed Querétaro train project, but as soon as he arrived at his office, he turned on his heel and announced that the project was suspended. The order had been issued from the top. His boss, employing his executive powers, had decided to cancel and the Secretary, being the subordinate, disregarded the evident contradiction and announced that the project was null and void. The case of the INE was similar, except that the President is not, or supposedly is not, its boss. The issue at hand is the spot of the PAN in which the President’s trip to London with an entourage of (supposedly) 200 invited guests is highlighted. As soon as the spot materialized, the PRI protested: the INE conducted its evaluation and concluded that the PAN advertisement did not violate the established rules and rejected the protest, allowing the ad to continue to appear. However, the next day, the INE received a letter from Presidential Office in which the prohibition of the advertising spot was requested, to which the INE Board acceded, canceling its decision of the day before (an action later overturned by the Electoral Tribunal). The problem is that, in contrast with the Communications Secretariat, the INE is a supposedly autonomous entity. In this decision it demonstrated the limits of its autonomy. The theme is not a new one. The Federal Electoral Institute (IFE), predecessor of the INE, comprised board members appointed for an eight-year term, but on two occasions the law was modified, which altered not only the respective legislation but also the Board’s composition. Thus, none of the Board Members at that time lasted the previously established eight years. It begs the question: Was the law modified to remove the Board Members? As there is no way to prove the opposite, one must, and can, conclude that at least the supposed autonomy was not a force to be reckoned with in removing them. That is, autonomy is only valid as long as it is not being exercised. In consequence, one might suppose that the present INE Board is acting to preserve their eight-year stint on accepting their subordination to the President. The same phenomenon has been repeated in regulatory agencies (telecommunications and competition), which also have been modified frequently. Now there are even party quotas for the integration of the Supreme Court. The affair would be ludicrous were it not so grave and disturbing. The conformation of autonomous organs was a creative idea for responding to the enormous credibility crisis that has battered Mexican society for decades. The objective was to create “islands” of credibility sustained by irreproachable Individuals who could “lend” their credibility and honesty to the society, conferring certainty on it in order for, at least in the specific ambit, there to be trust that things would be done well. The first case that I remember was that of the Human Rights Commission that, with ups and downs, has satisfied that mandate at least with some decorum. While it cannot be measured with the same yardstick, NAFTA was conceived with exactly the same rationale: confer trust on the investors that the rules would not change at whim. The IFE, in the most conflictive matter, supposedly proved its relevance in the 2000 election, given that the PRI was defeated and the IFE testified to this without disputes breaking out. In retrospect, it seems evident that IFE of that time achieved the credibility that it did more because the PRI candidate, Francisco Labastida, and the then-President Zedillo had the integrity to recognize the election than because of the autonomy of the IFE Board. As soon as a later candidate disputed the results, autonomy wasn’t worth the paper it was written on. The phenomenon is not attributable to the government, because every political class, of all of the political parties, is an accessory to the same thing: it is the parties that have created party quotas for these agencies and collegiate bodies; the political parties that have torn down the autonomous entities whenever they felt it convenient or expedient and it is they, with the collusion of diverse administrations, that have created absurd laws that exclude the citizenry from participation in politics, distancing their supposed representatives from the population and impeding the latter from freely expressing themselves on matters that, in a self-respecting democracy, would be an incumbency for the population before anyone else. The Pact for Mexico, as important as it was for the process of reforms, was based on the explicit exclusion of the legislature, the alleged representative of the citizenry. That is, there wasn’t even the pretension of the reforms being approved by the representatives who, steeped in the old ways of the PRI, did no more than raise a finger. Worse, the Pact was accompanied by a structure of corruption for the benefit of all of its members, which explains to a great extent the massive loss of prestige that all of the partisan institutes enjoy today. Were it not for the fact that there are explanations for each of these instances, one would think that the entire political project of the last decades has consisted not only of the obvious (change so that everything could continue the same), but instead to deceive the citizenry with the promise of a democracy that would never arrive. Writer Erica Jong said: “Take your life in your own hands, and what happens? A terrible thing: no one to blame”. That’s our political class to a T.